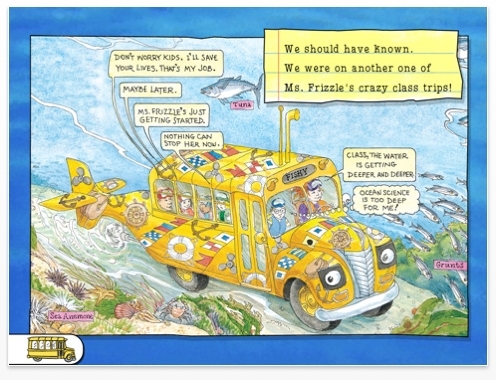 Now What Baby: Magic School Bus: Oceans + Giveaway! Magic School Bus: Oceans ($7.99) - If there was ever a book made for the iPad this is it. 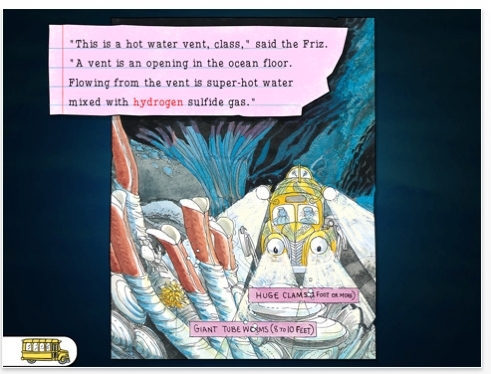 Everything that makes the Magic School Bus series so cool has been taken to the max with the amazing app. 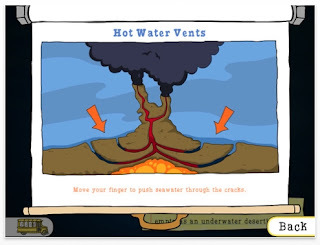 Now you not only get to enjoy the book but you'll also get a kick out of the narration, the interactive parts (some are even videos), and the games. It is really one of the coolest books I have ever seen in the app world. 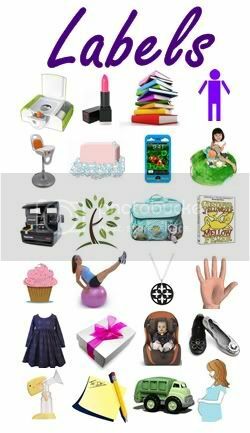 Your child will truly get so much more out of it because of all the interactive aspects. 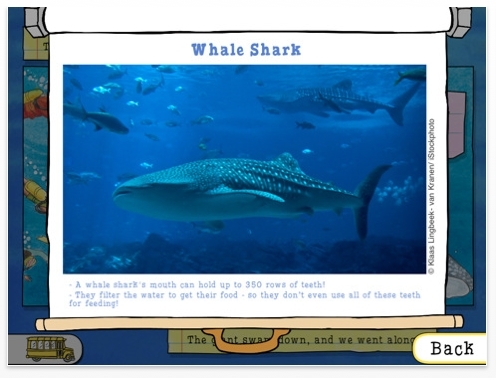 It has 26 real photos and 11 videos for your child to observe. The marine based knowledge crammed into this app is truly impressive. 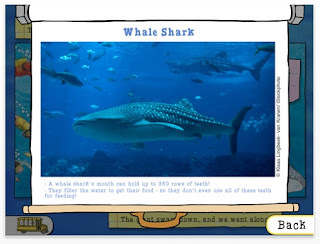 Thoughts from a 5 year old: He really loves this app - it is so exciting to him to learn about all the undersea creatures. He gets a big kick out of the characters (there are 20 different voices) and the story too. 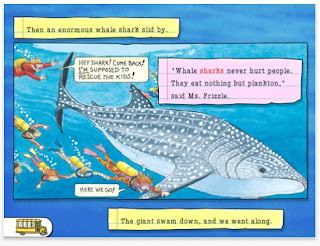 Having each word highlighted as it is narrated is wonderful for him since he is just beginning to read. Thoughts from a 2 year old: He loves this book too! He finds it hilarious when the bus drives straight into the ocean. He loves to touch the characters and listen to them talk. The videos are his favorite -he will watch them on repeat! Mom's Take: I have always loved the Magic School Bus series - it was one of my childhood favs. 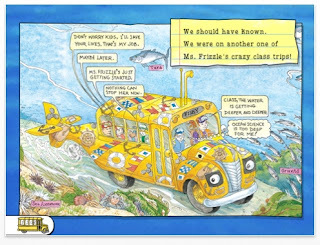 I loved the idea of being able to go to all those places on a bus - not to mention really enjoyed Ms. Frizzle's outfit choices. It is really cool to see the book come to life for my children. I can't wait to see if they come out with more apps from the book series! 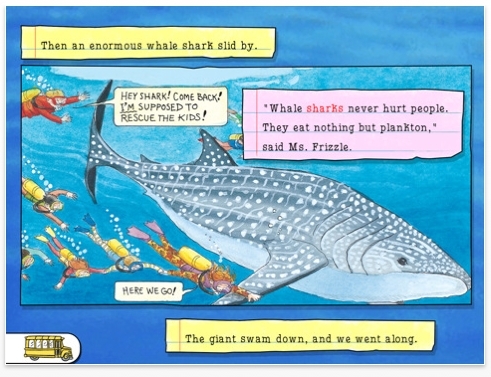 Simply Stated: Truly the best interactive book app for children I have seen yet! 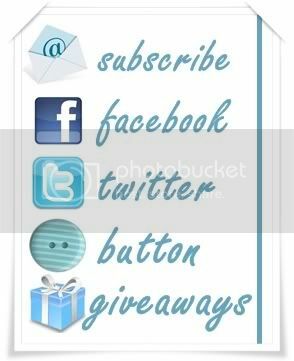 We have 1 free download code to giveaway! To enter to win share with us your answer to the following question: What is your family's favorite Magic School Bus adventure? The deadline to enter is June 9th at midnight EST.